Vancouver Pen Club: Our very own pen - the Vancouver Pen Club Delta Dolcevita Caruso! Our very own pen - the Vancouver Pen Club Delta Dolcevita Caruso! 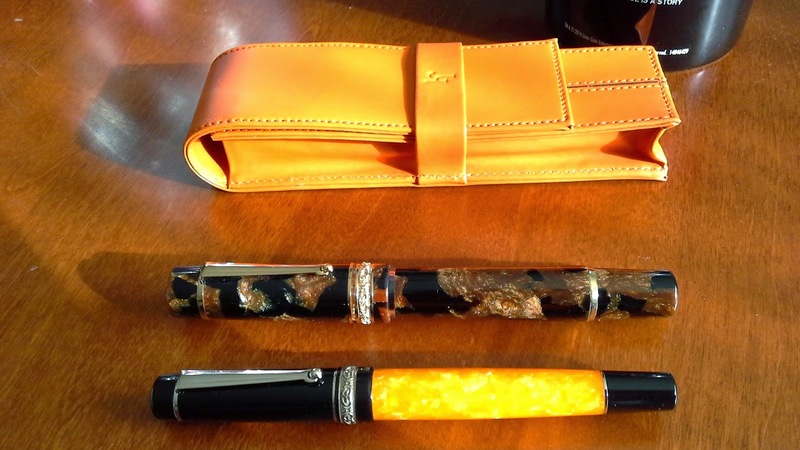 I can't say enough good things about this gorgeous fountain pen, specially created for our pen club by Delta Pen. 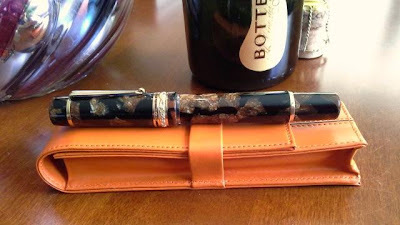 It is, quite simply, a stunning piece of workmanship and Italian design. For the full story on how this beautiful limited edition piston-filler was made for us, please check out Glenn Marcus' online article (with better photos than mine) here. Many thanks to Delta's President Nino Marino and designer extraordinaire Salvatore Matrone for producing this pen---Grazie mille!--- and to Ross Cameron at YAFA, Delta's distributor in North America, for getting the pens safely to us in Vancouver. Last but not least, many thanks to our fellow VPC member Glenn Marcus for his tireless efforts, and to Richard Clarke of Perks pen store (our pen club host) for importing the pens on our behalf. Delta had our club's initials engraved on the cap top, at our request. 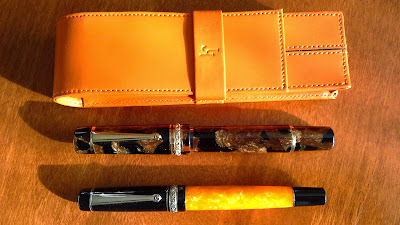 The orange & black pen in two of the photos is the gorgeous Delta Dolcevita Slim that Delta sent me last year (I did a write-up on it here). 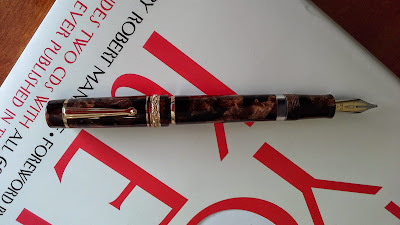 Both pens are wonderful to use---the Fine "Fusion" nib on my Dolcevita Slim is lovely to write with, and the Stub "Fusion" nib on my new Limited Edition VPC pen is silky smooth. 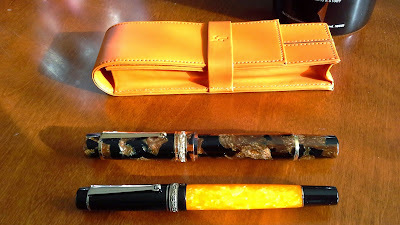 My orange two-pen case (shown above) is part of Delta's Markiaro leather line of pen accessories. That is gorgeous! 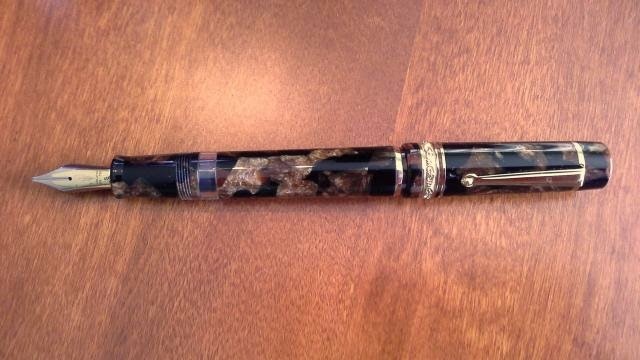 I've heard of Edison and Newton doing pens for certain pen clubs but I didn't know Delta did stuff like that. Pretty cool of them. Nice blog, btw. This is my first time here. Delta was very supportive and helpful throughout the whole process, and the end result is amazing, IMHO. 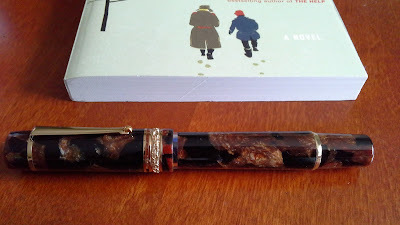 Can you please also post the details of the next Vancouver Pen Club meeting? I would like to attend. Thank you.